Designed for those who appreciate the beauty of nature and the serenity of sea breezes, ALILA2 promises a home of wide open spaces, breathtaking views, enchanting landscaped gardens, along with all the luxuries and amenities you’d expect from a modern resort-inspired condominium. ALILA2 is at an optimum height and fronts the ocean, hence embracing all the elements of good Feng Shui. The symbolic presence and prominence of the Green Dragon to its left and the White Tiger to its right appear to be matured and strong. Their bodies curving graciously towards each other at the back of the property, forming a shape that emulates an emperor’s throne. 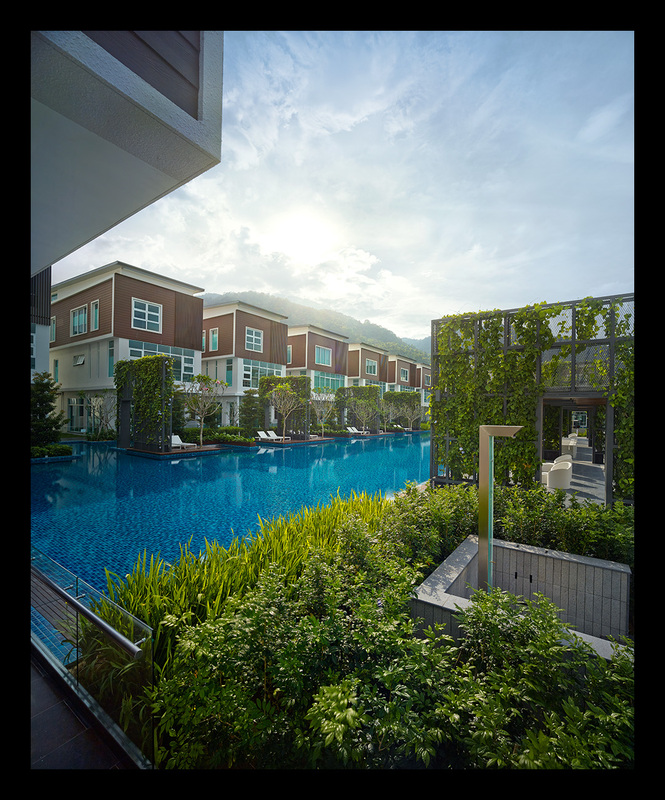 While the gentle hills enveloping ALILA2 symbolise the Black Turtle, which protects the entire environment. Thoughtful planning and positioning of ALILA2 further harness the benefits of the topographic and geodetic features of the terrain. This auspicious landform and lush greenery will bring abundant good fortune and great comfort to the residents for many generations. In short, the location of ALILA2 befits the location of a PALACE. ALILA2 is designed to meet the stringent standards of the Green Building Index (GBI). It focuses on increasing the efficiency of resource use – namely in the intelligent use of energy, water and materials, while reducing building impact on human health and the environment. Some of the ways it has achieved this is by using specially selected glass, which allows daylight into units, but blocks out heat, hence ensuring reduced air-conditioning usage. It also uses T5 light fittings, further enhanced by timers and photosensitive switches, all of which save electricity. Water and sanitary fittings are certified water efficient, hence reducing the buildings’ water usage by more than 50%. A specially designed rainwater collection system has also been installed to collect and store rainwater, which will then be used for landscaping purposes. In addition, the fire protection system has an innovative recycle system for re-cycling test water to further reduce water requirements. And to top off its effort to further reduce environmental impact, 47% of the property is covered in trees and gardens. Making it not only pleasing to the eye, but considerate to the planet as well. Combined, these a sanctuary make. No home is truly whole in the absence of a celestial bond between exactly these pillars to serve as a sturdy foundation. Unmatched in the degree of distinction such a blueprint invokes, Permai Gardens, an architectural marvel assembled by BSG Property, the premium-brand development is the epitome of elegance, exclusivity, and extravagance – all under one roof. Plush with exquisite surrounds and flush with bespoke design articulations, the gated enclave encompasses an optimum security residential community engineered around a resort-style clubhouse and an Olympic-sized pool. Nestled between the elevated terrains of Tanjung Bunga in Penang, the suburban enclosure entails a total of 131 terrace houses, 16 garden villas and 15 pools villa across three storeys. Far removed from the bustle-teeming scuttle of the city while coddled in Mother Nature’s panoramic embrace, the lusciously-manicured greens of the posh plaza adds to the exuberance of every contemporary dweller’s idea of a dreamy abode. A meticulously mapped-out urbanscape, the respite-inspired reserve is not bereft of the trappings of countryside. And yet, it also boasts of decadent amenities worthy of the partaking in true elite fashion. These include a full-service gymnasium, steam room, 50-metre adult lane as well as kids’ wading pool, and of course, an entertainment glass lounge, to add to the atmosphere. The landscape features a four-tier security system with CCTV monitoring, perimeter infrared intruder detection, direct resident intercom, guard patrol, and motion detection alarms equipped with panic buttons. Residences are fitted flat cantilevered roofs, and distinctive facades dressed in bold, earth-toned finishes well suited to the overall setting. Exteriors are an artistic mix of timber-cladding, metal, and glass. 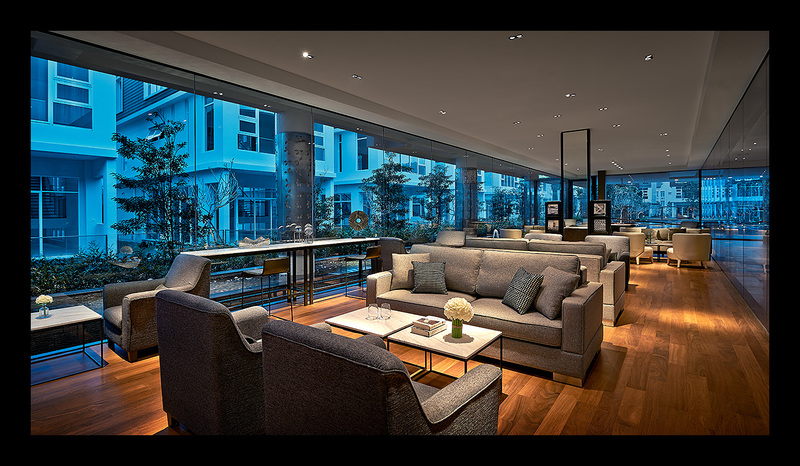 Meanwhile, full-length floor-to-ceiling windows, hardwood timber floors, and clerestory glazing adorn the residences’ interiors to encourage natural ventilation, daylight penetration as well as a picturesque view of the scenery beyond the crystal-clear textures. Beer drinkers rejoice! It is no longer all about food and wine matching. Beer matched to food is just as important, and aims to make your dining experience even better! If it is a good beer/food match, you will find that neither the food nor the beer will overwhelm each other. Rather it will create harmony with the flavours and textures. At the forefront of stunning award-winning craft beer, is Temple Brewing Co in Brunswick, Melbourne. Temple are known for their traditional brewing techniques, environmentally friendly brewing practices and wonderful food, prepared thoughtfully by Chef Sam Hopkinson – (one of Melbourne’s most talented young chefs). Temple recently won the “Best International Pale Ale Trophy” for it’s ‘Anytime IPA’ and is quickly gaining a reputation as the “Foodies Brewery” with its offering of refined comfort food and it’s funky fit-out. All items on the menu are beer-matched and if you’re struggling to choose the right beer, you can ask any of the helpful staff for advice, or go for a ‘Temple tasting rack’ of five beers. Another favorite at Temple is the crisp and fresh ‘Bicycle Beer’, served with either the steak tartare or soft shell crab. Or the Cape Grim steak (grass fed from Tasmania), all dry aged for 30 days at the brewery before serving. Temple’s fabulous ‘all season beer garden’ at the front of the brewery is the perfect spot to sit with your friends and enjoy the East Brunswick atmosphere. Temple is destined to become a food lover’s destination for many in the beautiful city of Melbourne.